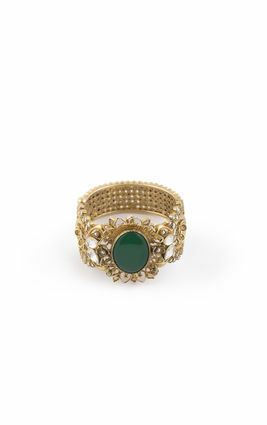 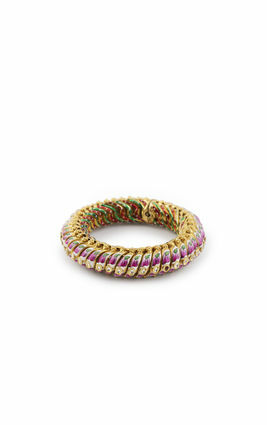 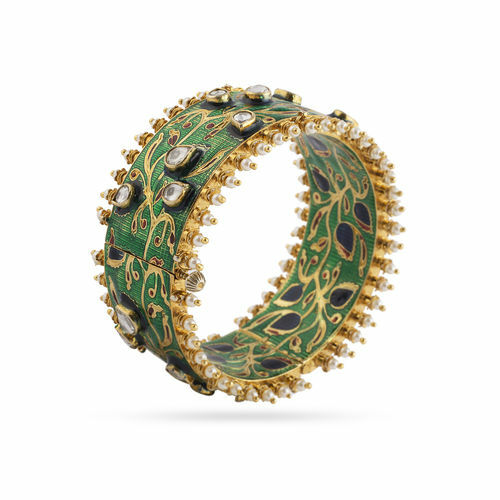 A peacock rests its tail feather gently upon your wrist when you adorn these gold plated bangles. 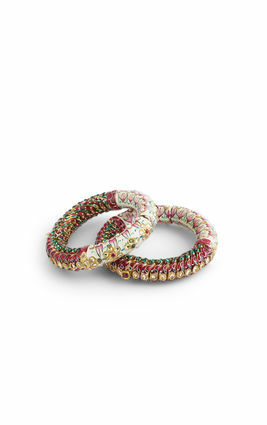 Hues of deep green, blue, and cherry red enamel make the delicate charm of white zirconia stones truly stand out. 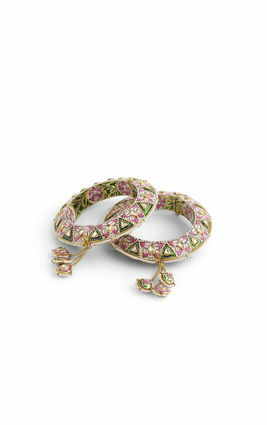 These are a must-have in your jewel-box. 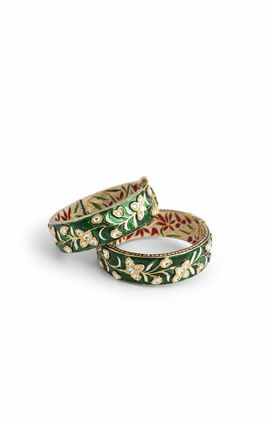 A peacock rests its tail feather gently upon your wrist when you adorn these gold plated bangles. 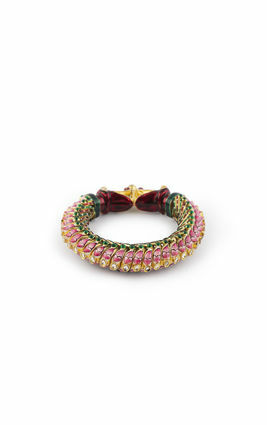 Hues of deep green, blue, and cherry red enamel make the delicate charm of white zirconia stones truly stand out. 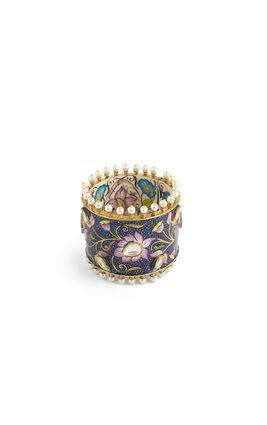 These are a must-have in your jewel-box.